How About Some Onion This Time? 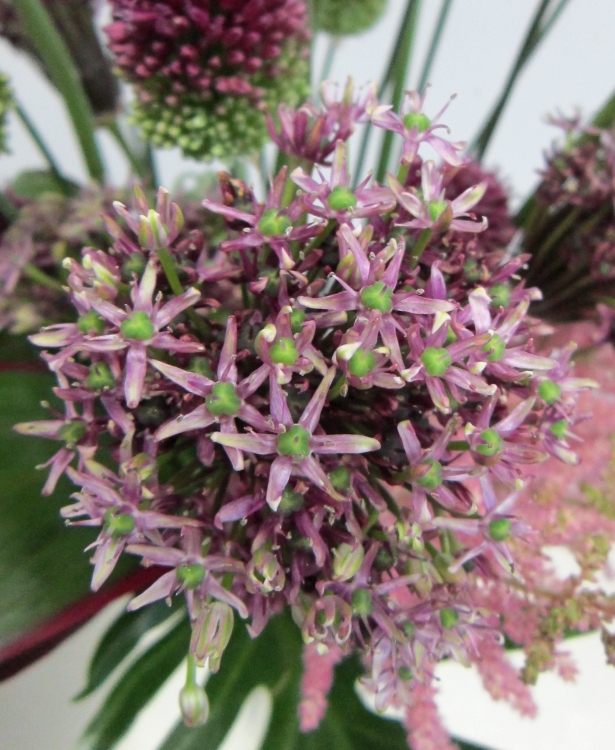 When you see these beautiful globular clusters of flowers, can you imagine they are closely related to onion and garlic? 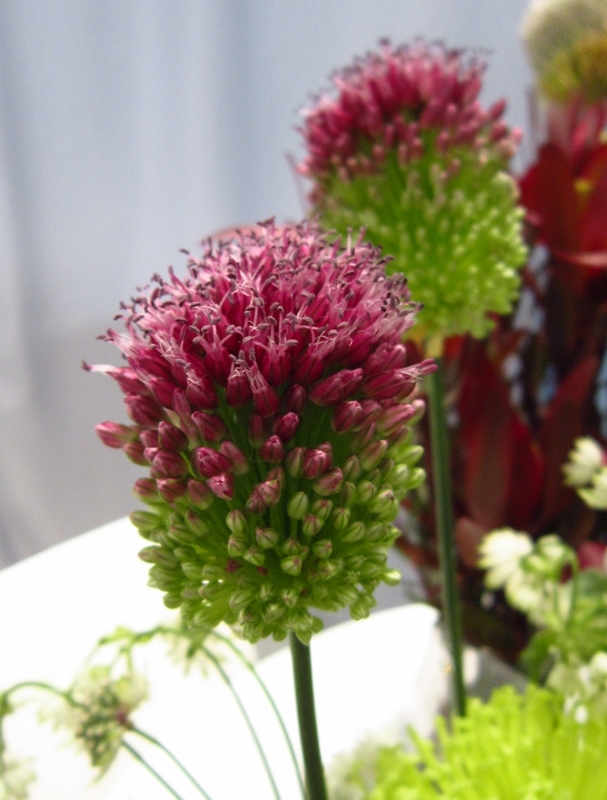 These Allium flowers come out in late spring and summer. Some species grow up to more than 4′ tall with flower heads more than 7″ in diameter. They are magnificent to look at, but be aware of the smell of some of them. They are in the same family of garlic and onion after all. 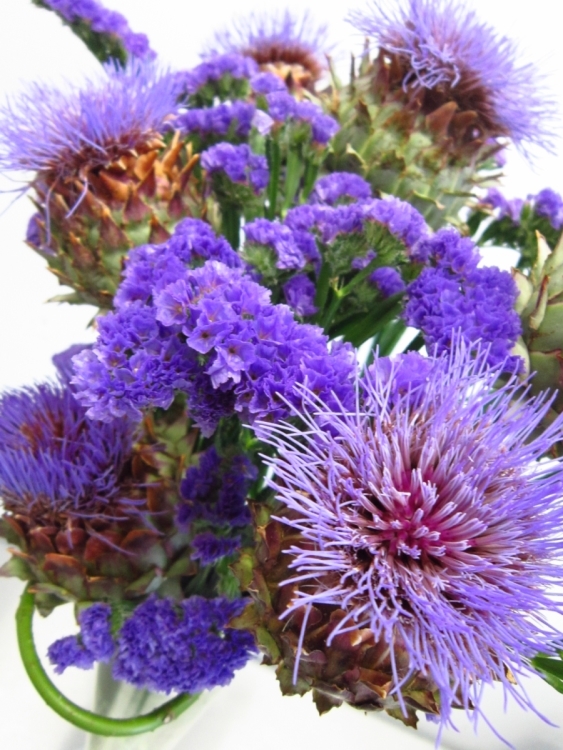 Artichokes, if left unharvested, form beautiful purple flowers. 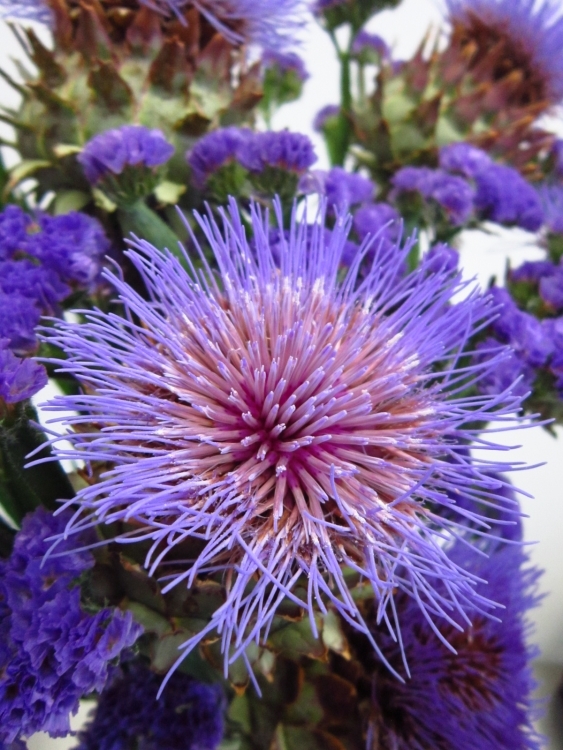 Peak artichoke season is spring, so it doesn’t surprise us that starting from June we have been seeing a lot of very full, very beautiful artichoke flowers. 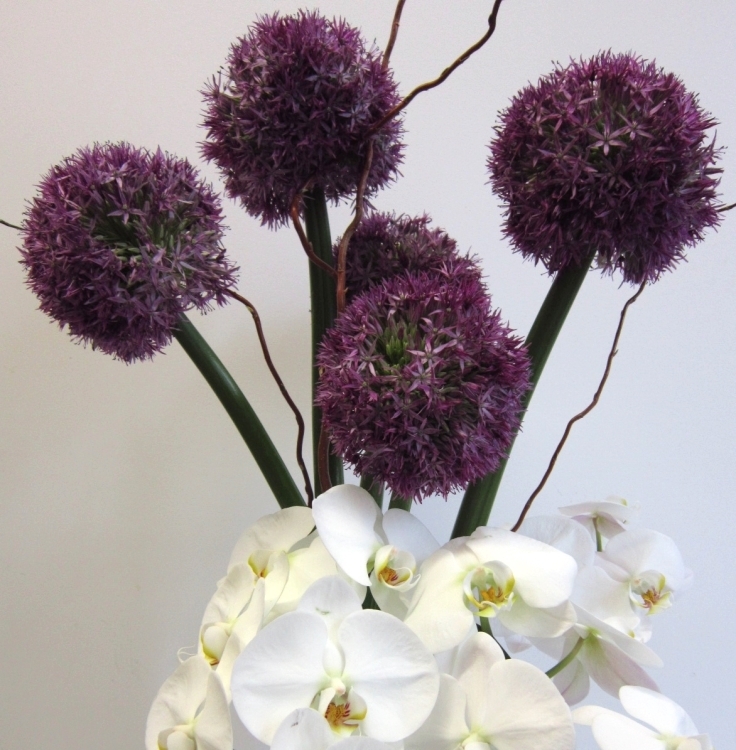 Yesterday we created a purple arrangement with limonium (common name: statice) and artichoke flowers. We love the different textures together. Look at these big artichoke flowers, aren’t they just yummy? So what do they have in common? 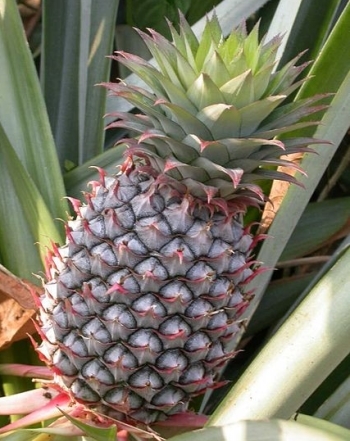 After some research, we found out these plants all belong to the big Family of Bromeliaceae! 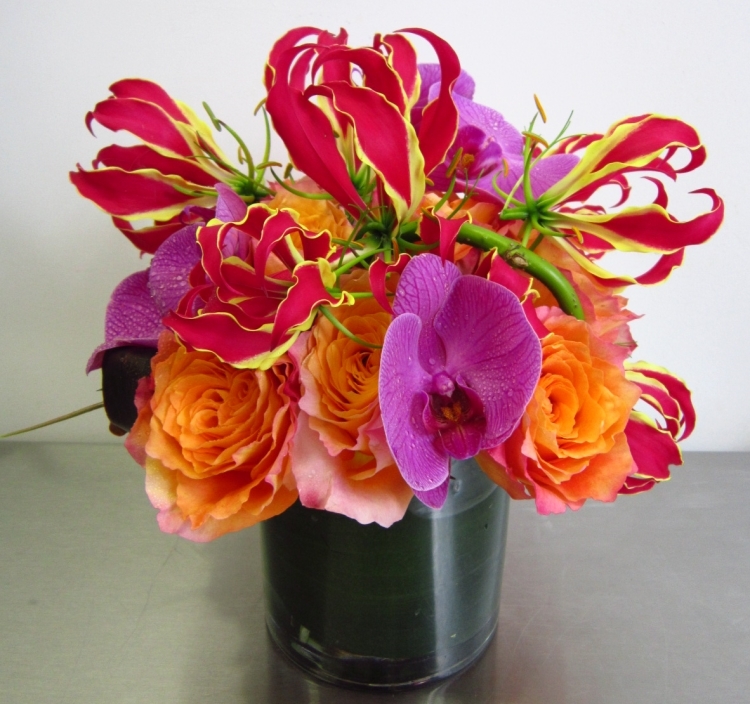 We bought some fascinating cut flowers the other day for a flower arrangement. 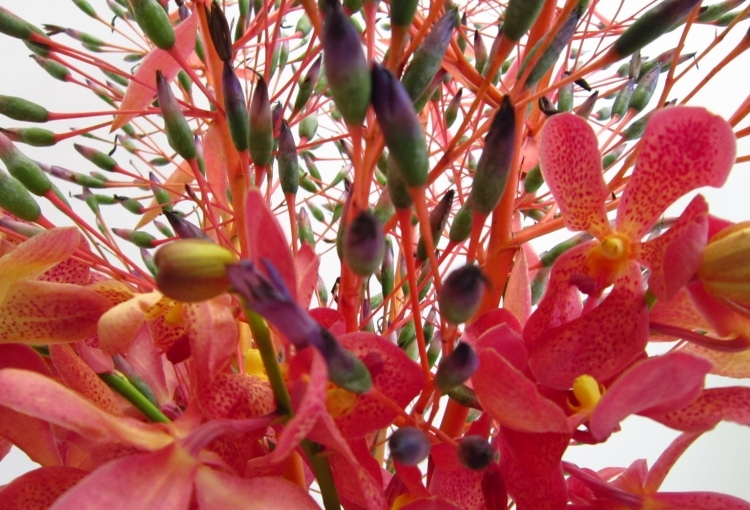 The wholesaler told us the name of the flower was “Bromeliads”. 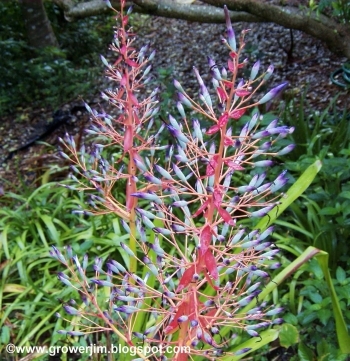 Thanks to Google and Wikipedia, we learned that Bromeliaceae is a plant family of about 3,170 species. Most of them are from tropical or sub-tropical Americas and west Africa with the smallest plant being the Spanish Moss. 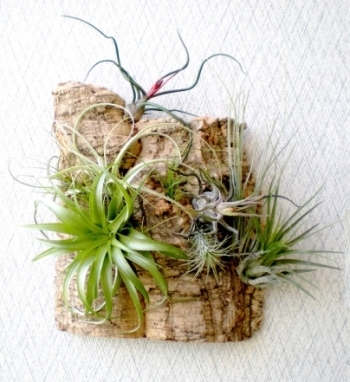 Even though they are from the same family, please don’t think you can grow a pineapple plant like an air plant! 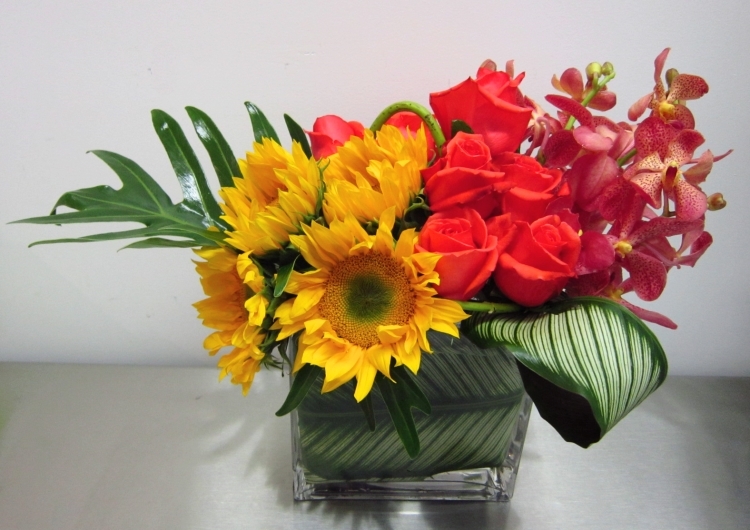 What better flowers to use on a hot Summer day than these bright yellow sunflowers? 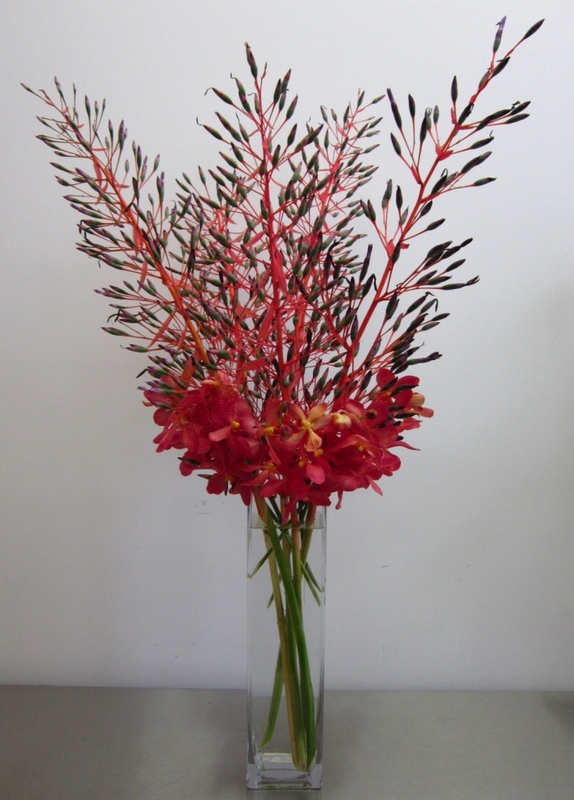 We combined them with some reddish orange roses, mokara orchids, philodendron and calathea leaves for a client’s office. This arrangement surely brightened up their space. It’s a wonderful mild day here in NYC; however, the weather forecast says we will reach 90 degree tomorrow. 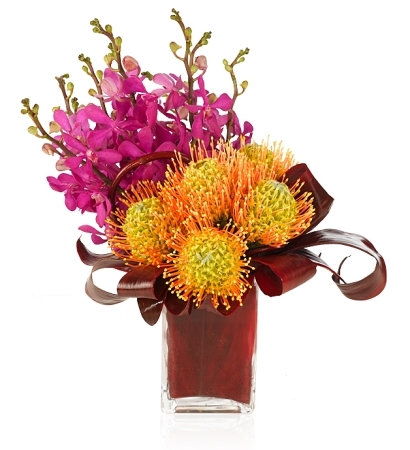 We only hope it won’t be as hot as these Flaming Lilies! For the Boys and Girls! Every year, Kips Bay Boys & Girls Club invites celebrated interior designers in New York City to transform a luxury Manhattan home into an elegant exhibition of fine furnishings, art, and technology. 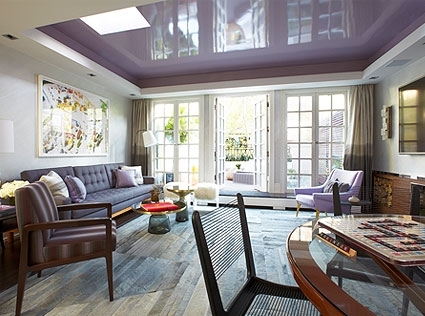 The purpose of the event, Kips Bay Decorator Show House, is to raise funds for much needed after school and enrichment programs for New York City children. 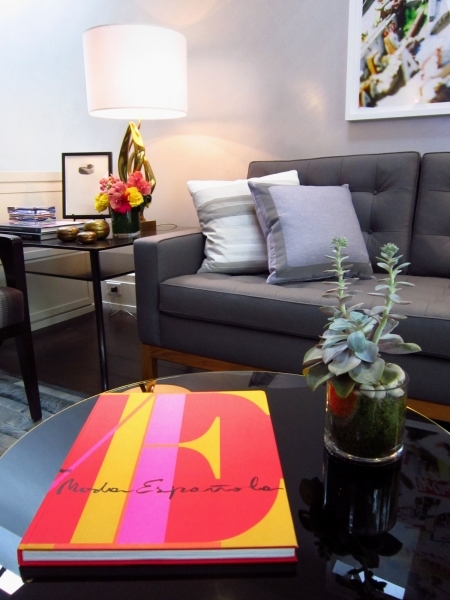 One of the design firms invited to participate in this year’s Show House, Eve Robinson Associates, approached us for floral arrangements for the area they’re in charge designing. 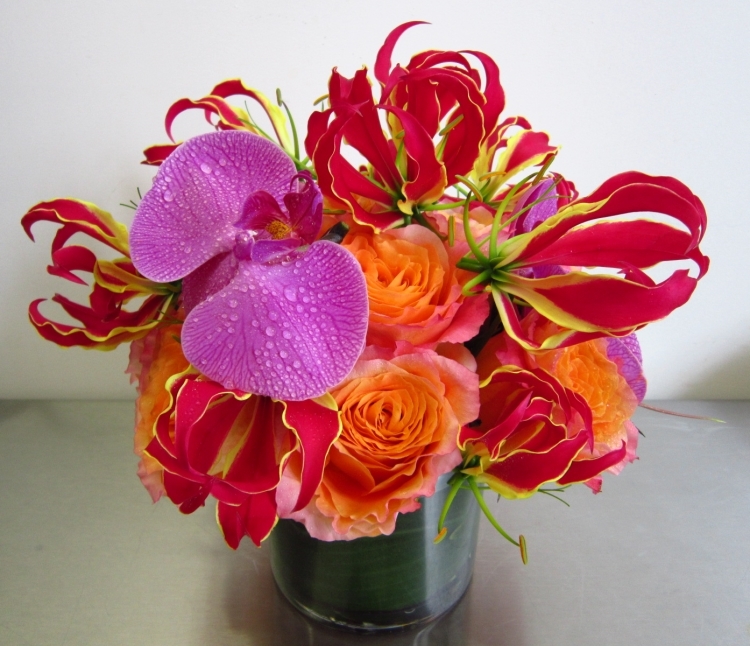 Since the beginning of May, we have been providing flowers for this modern and elegant space. We are happy that we’re able to contribute to the boys and girls in the city!! 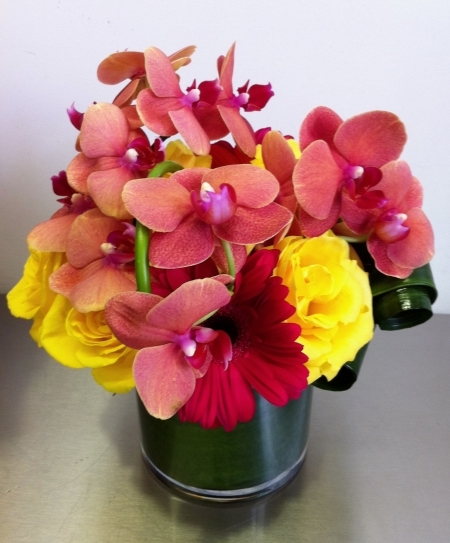 Don’t forget Mother’s Day is this coming Sunday the 12th! 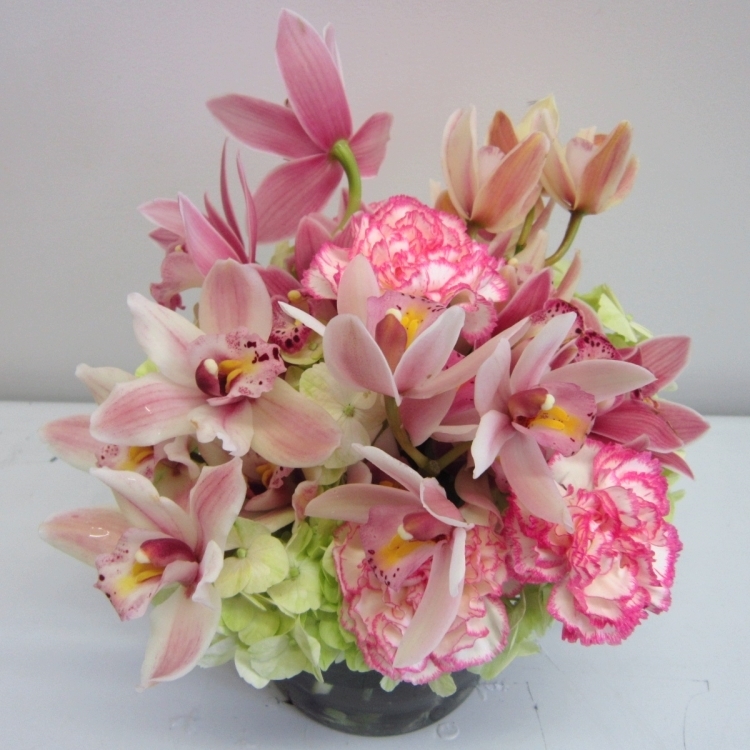 We are showing our love and respect to our mothers with three different colors of mini cymbidium orchids, pale green hydrangeas and the Mother’s Day staple, carnations. 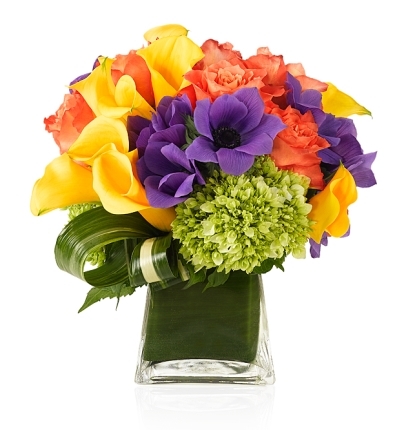 We love the sweet and soft colors in this arrangement! What would you like us to make for your mother? 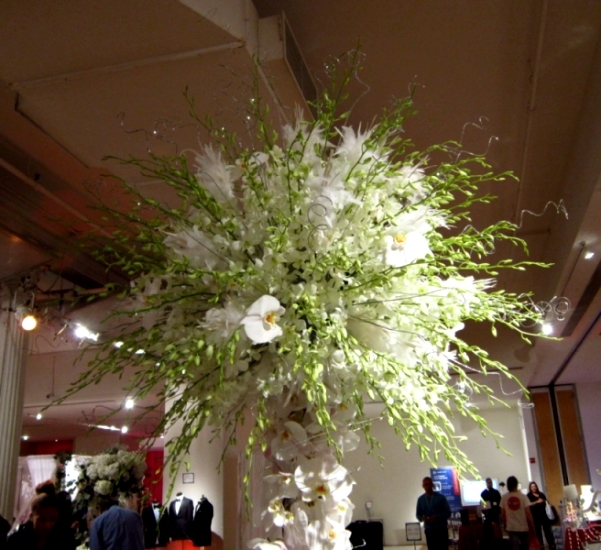 We were so happy to participate in the Bridal Show hosted by The Wedding Salon here in New York City on Monday night! We received a tremendous amount of positive feedback from the brides. 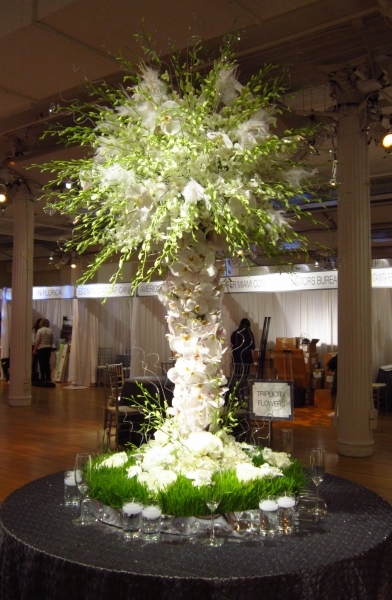 This 5′-9″ tall centerpiece (not counting the table) was composed of all white dendrobium orchids, phalaenopsis orchids, feather and silver branches, and the brides loved the little LED lights spiral down the flower column! 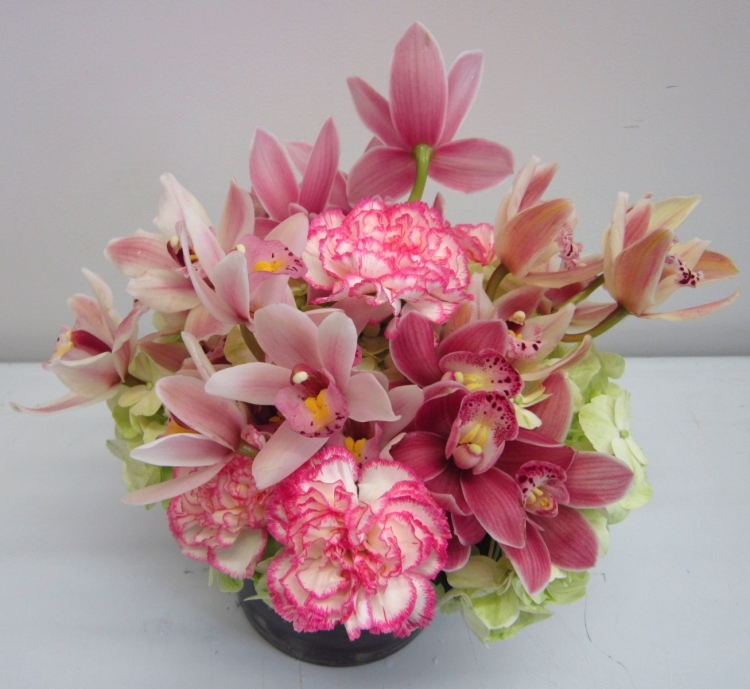 We decorated the tabletop with wheat grass, hydrangeas, roses and more white orchids. We were absolutely thrilled with this showstopper! Spring is finally upon us in New York City! Cherry blossoms are at their prime, magnolias are about to burst and the pears are budding. 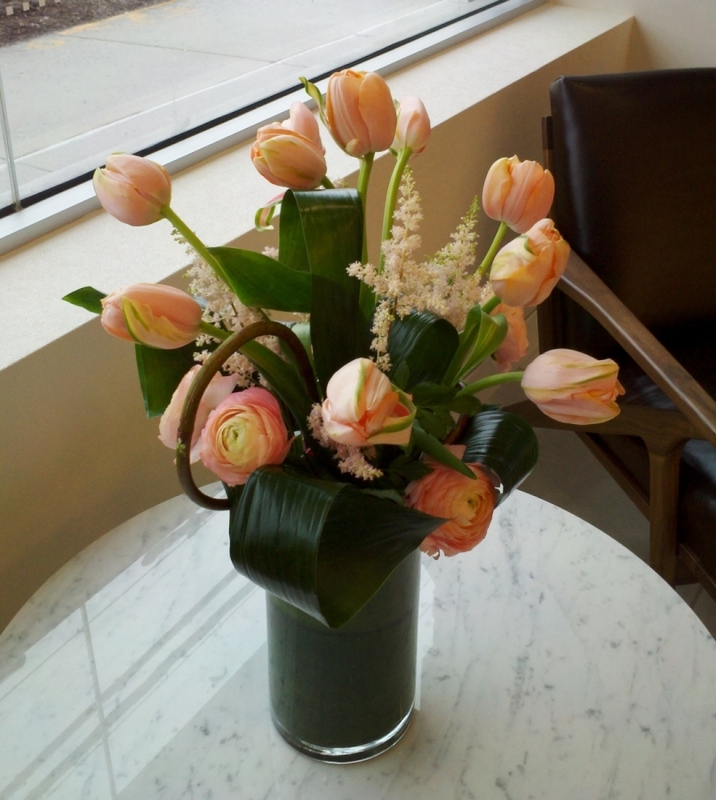 All the Spring flowers, tulips, hyacinths, ranunculus, are just so happy to see the sun! 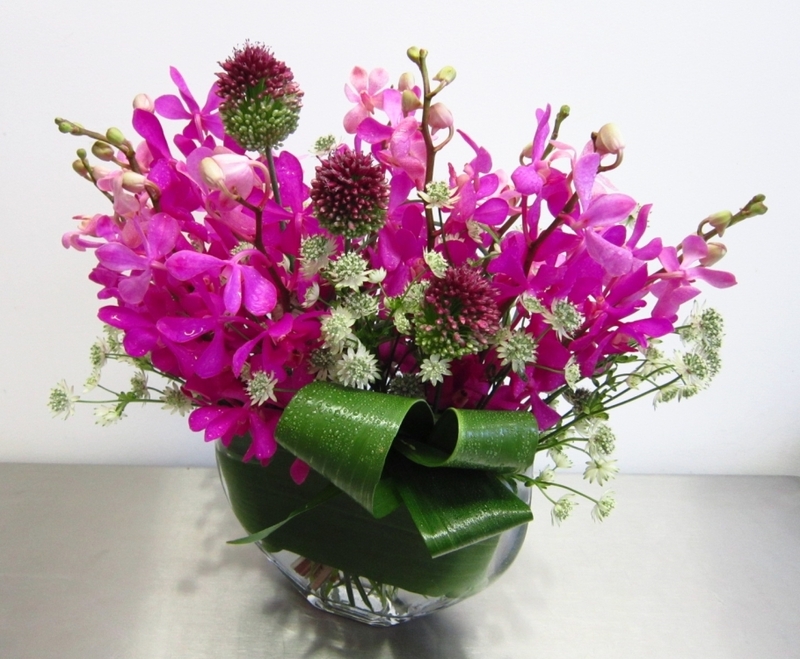 Look at this arrangement we created with Spring staple flowers. Aren’t they just peachy?